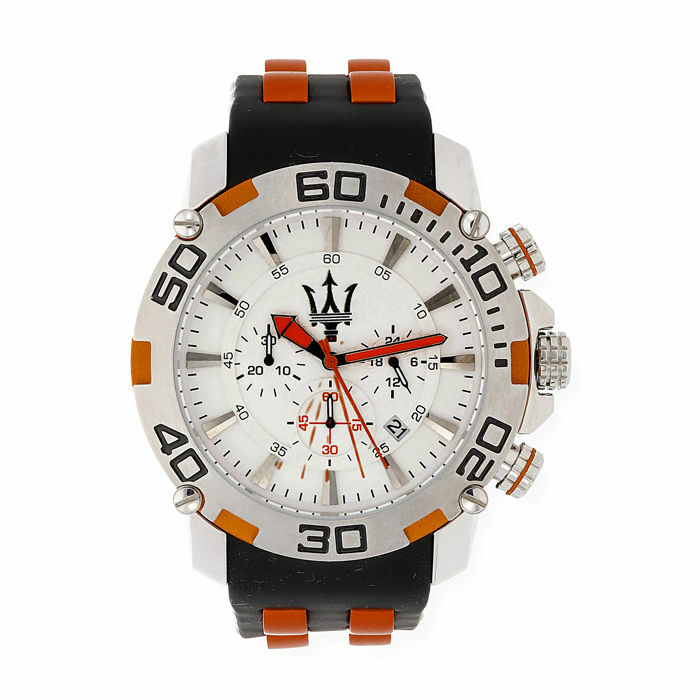 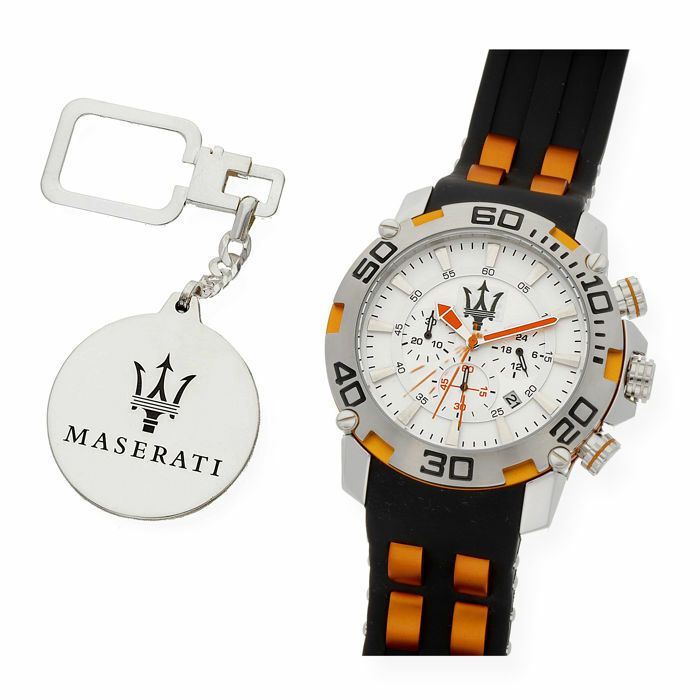 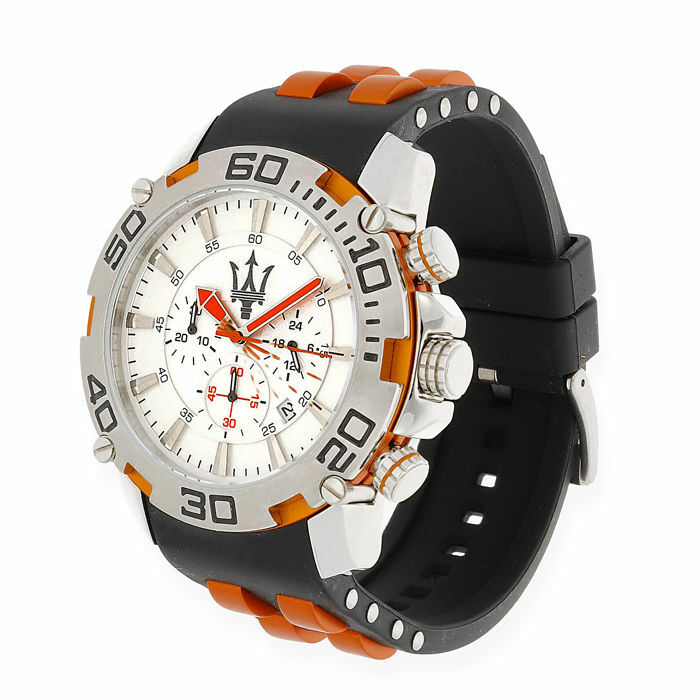 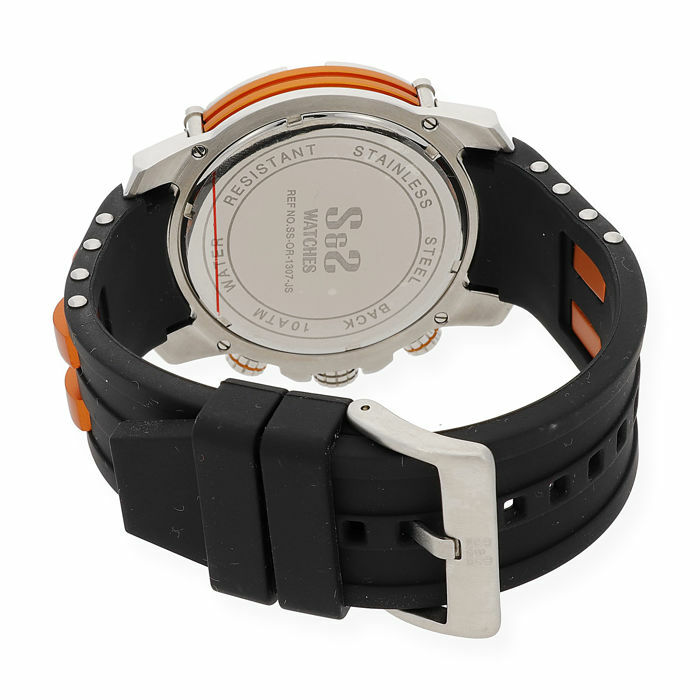 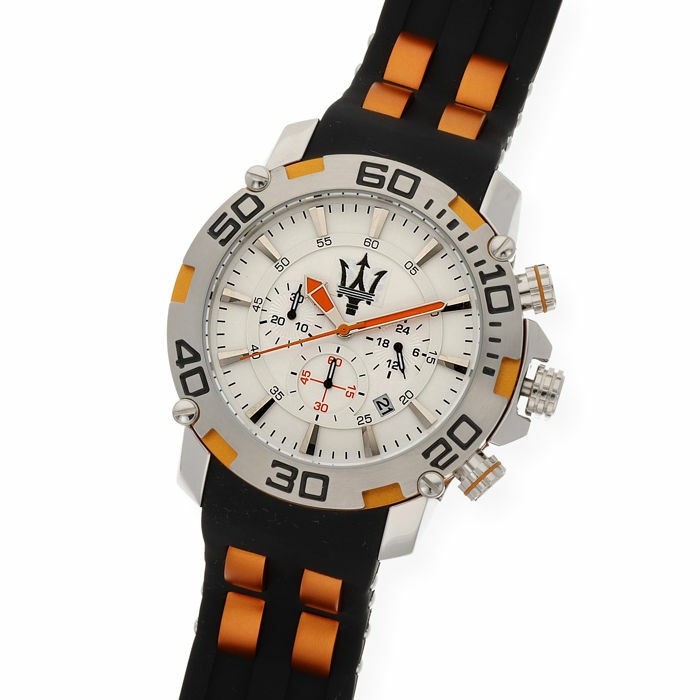 Lot of S&S men’s watch for Maserati with steel case + Sterling silver key ring with a reproduction of the Maserati logo. 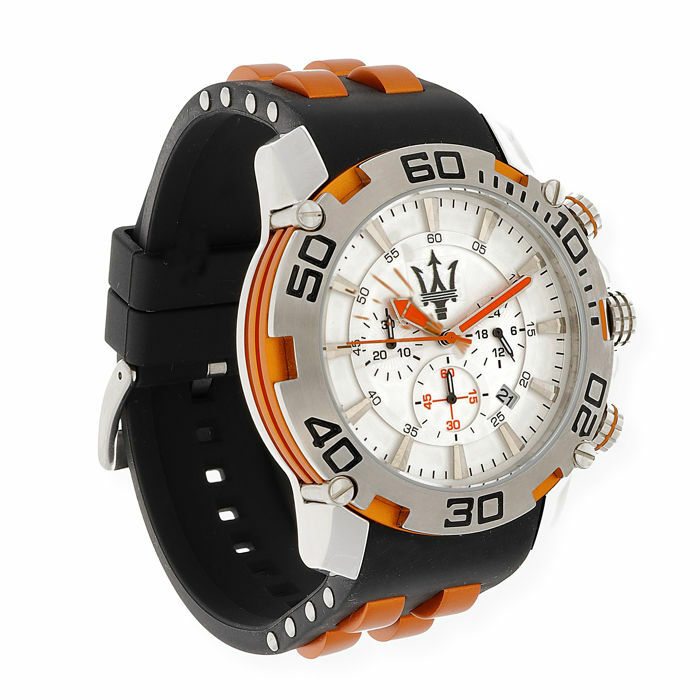 The watch comes with the official box and documentation. 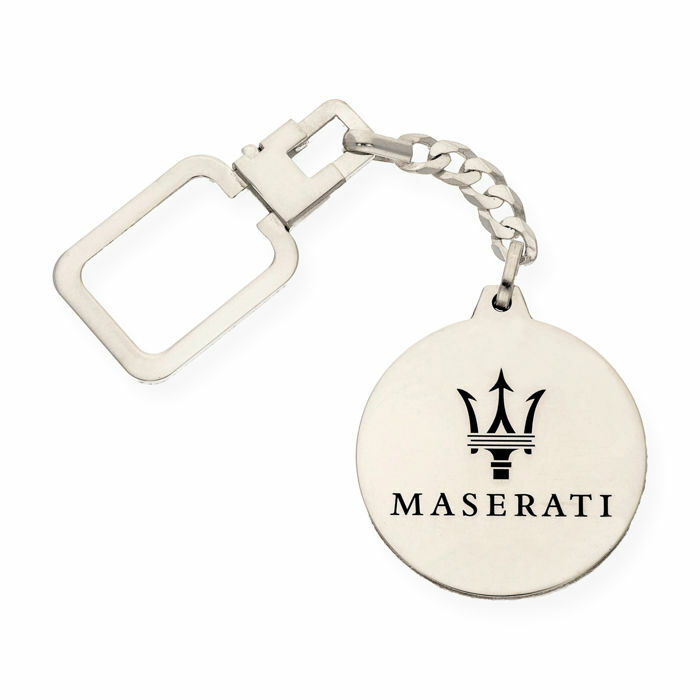 Silver key ring with a Maserati logo motif.